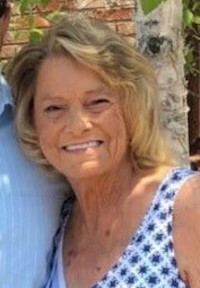 Patricia Ann Tolbert, age 65, passed away April 4, 2019. Born and raised in Escatawpa, she was a 1971 graduate of Moss Point High School. She enjoyed cooking and baking with her grandchildren. One of her greatest past-times was visiting the islands with her family. She will be greatly missed by all her family and friends. She is preceded in death by her husband, Linwood “Lindy” Tolbert; parents, Bertram and Gladys Kasby Dunagan. Those left to cherish her memory include her son, Jonathan (Melissa) Tolbert; grandchildren, Gage and Noah Tolbert, McKenna and Trent Foster, Charlie, Caroline, and Mollie Claire Russell; siblings, David (Marilyn) Dunagan, Donald (Connie) Dunagan and Gary (Debbie) Dunagan; uncle, Jessie Kasperzak; numerous nieces, nephews, other relatives and friends. The Visitation for Ms. Patricia Tolbert will be Monday, April 8, 2019 from 10:00 AM until 11:00 AM at Moments Funeral Home. The Funeral Service will begin at 11:00 AM in the funeral home chapel with Bro. Wyman Bradley officiating. Burial will follow in Howell Missionary Baptist cemetery. Pallbearers include Heath Dunagan, Landon Dunagan, Nathan Thompson, Nicholas Dunagan, Marty Kasby and Larry Davis.